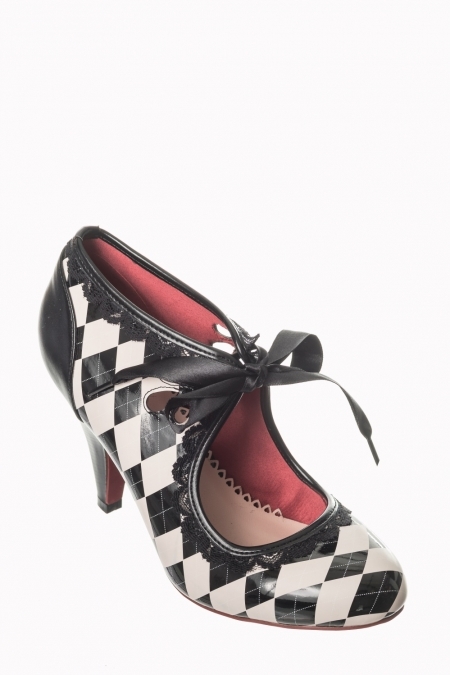 Meet the Dancing Days Argyll Monochrome 50s Shoes which come in a classic retro design. They come in UK shoe sizes 3.5 to 7 and the favourite features of the Dancing Days Argyll shoes include a perfect patent black lace theme on a gorgoeus Argyll pattern on these delightful Dancing Days shoes! Believe us ladies, they look really nice in the flesh thanks to the black and white patent lacquer, the exquisite satin bow tie to the front and not to forget the classic Argyll design! They're crafted by a high quality black and white shade of faux leather and are finished off with an outsole with anti-skid ridges. These shoes have a satin shoe lace tie so treat your feet with these heels and parade them to your upcoming Vintage and Prom events! 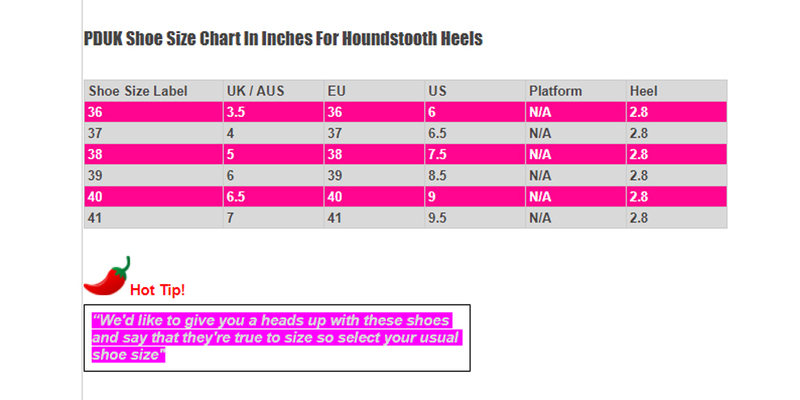 Please feel free to reach out to us with any questions you may have and we've compiled a special shoe size chart for the Dancing Days Cherry shoes.